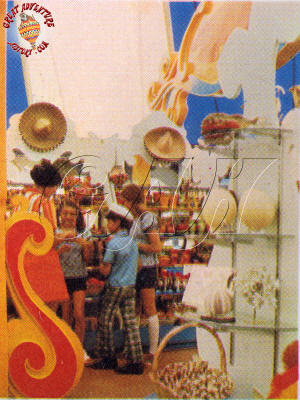 Exotic gifts from around the world are a favorite gift from theme parks, and the International Bazaar was designed to be the one stop for unique gifts. 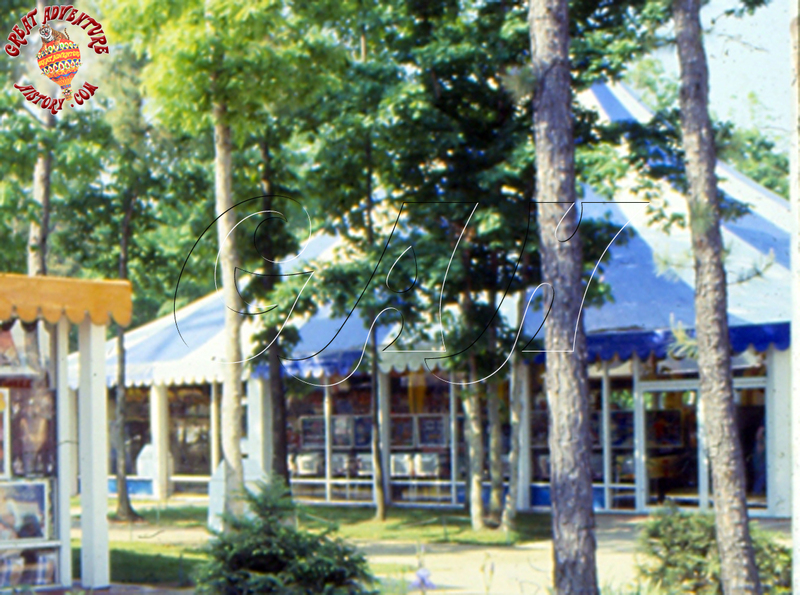 Originally blue and white striped, the International Bazaar was a spectacular shop filled with gifts from around the world. 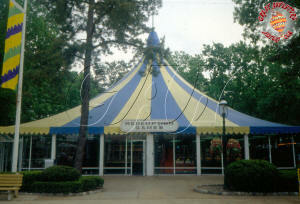 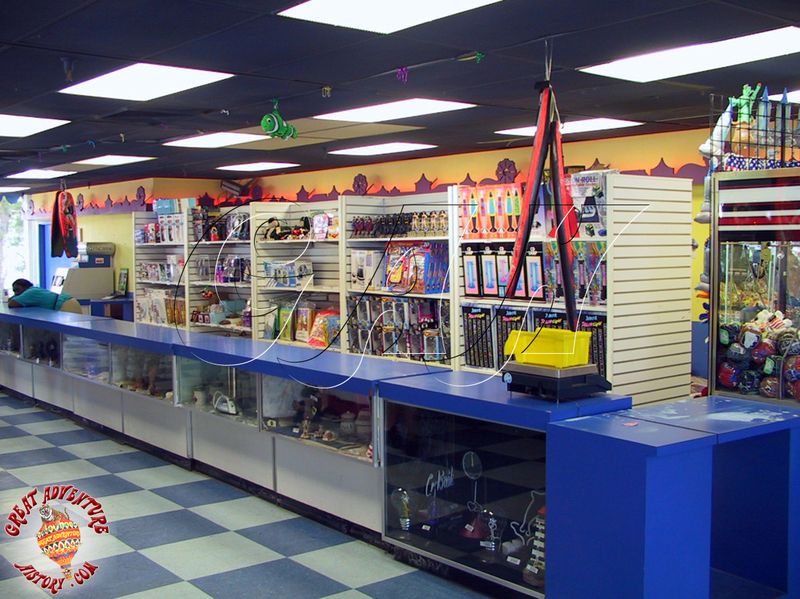 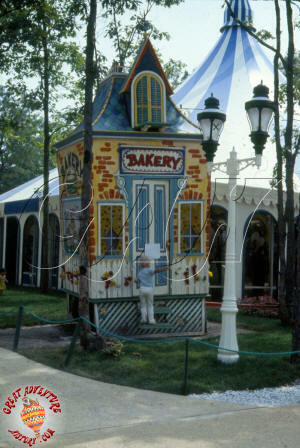 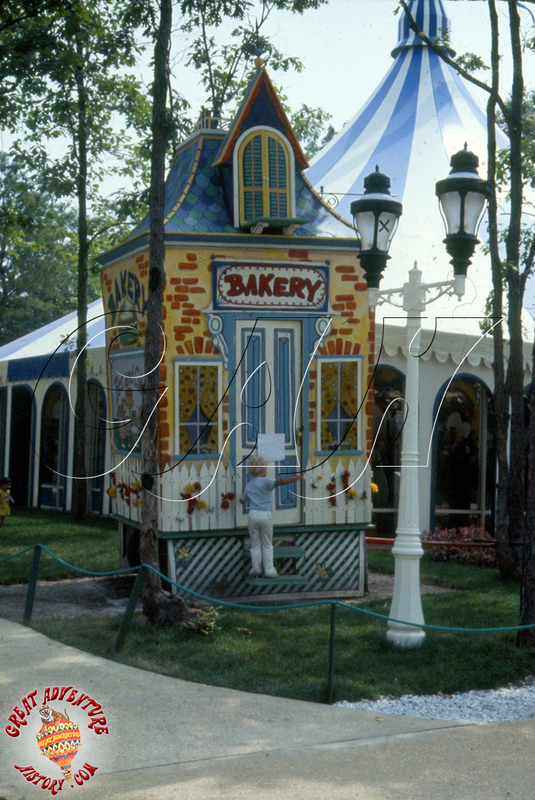 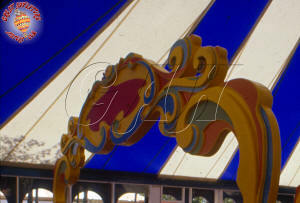 The shop originally featured circus-like fixtures with colorful scrolls around the shelves. 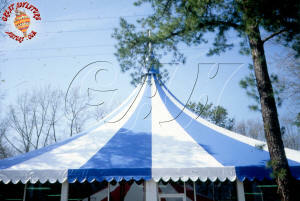 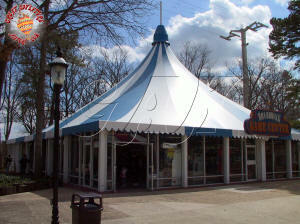 The soaring blue and white tent roof made for a dramatic ceiling inside the shop. For the 1975 season, the shop was renamed International Plaza. 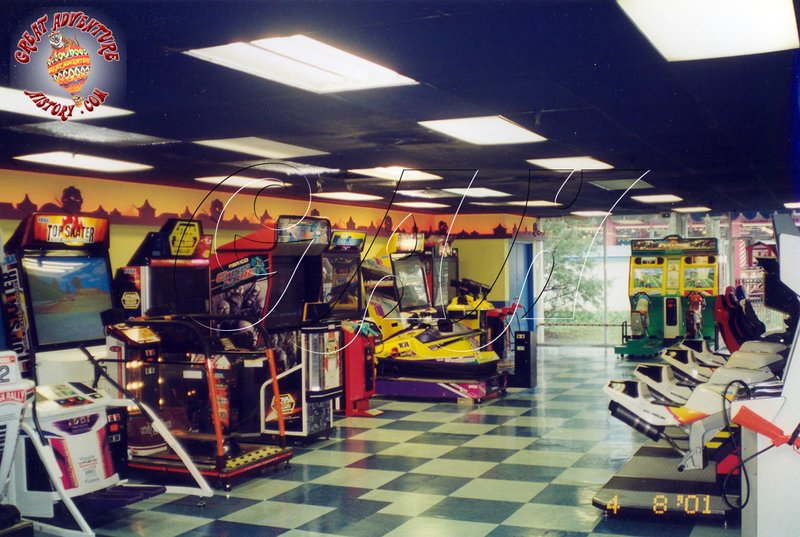 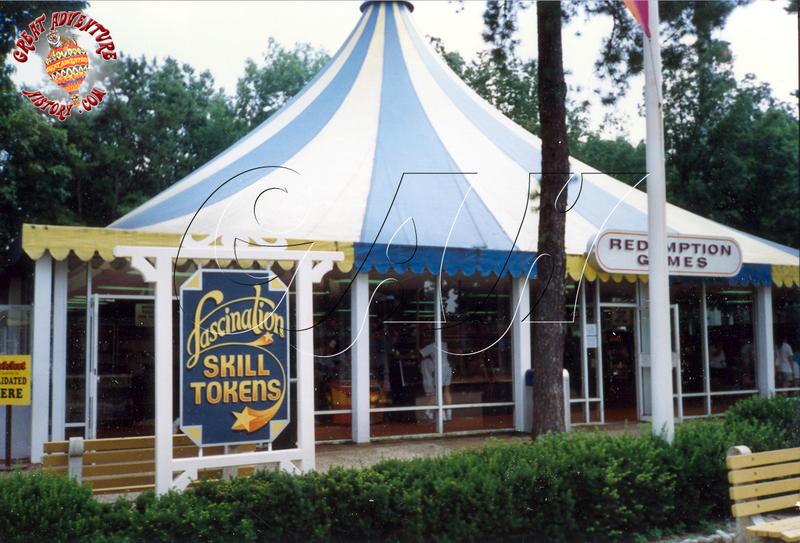 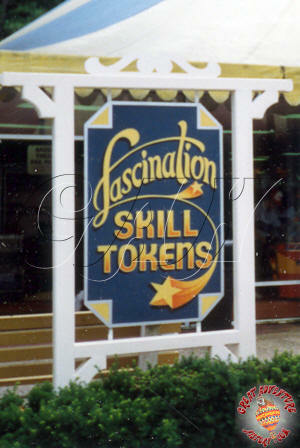 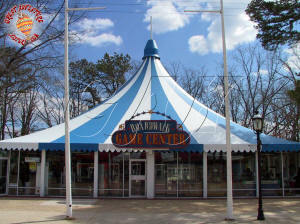 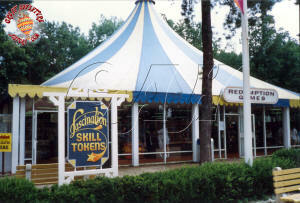 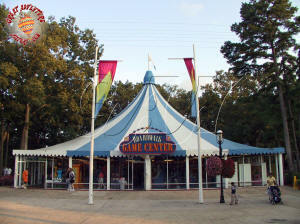 Beginning with the 1976 season when the park’s entrance was relocated and additional retail locations were added, the shop was converted into an arcade. 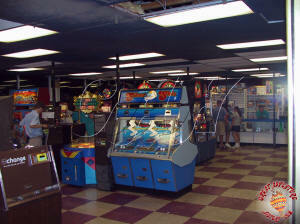 The arcade would for many seasons house a Fascination parlor and later other redemption games. 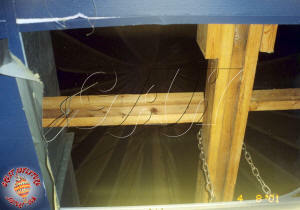 The drop ceilings in all of the tents hide the original open ceilings which improves the efficiency of the cooling systems and supports the sprinkler systems added to all the park's structures in 1985. 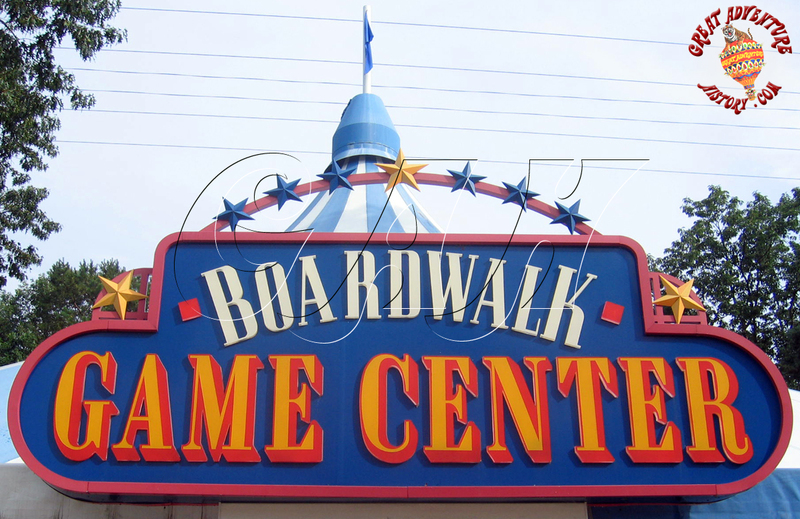 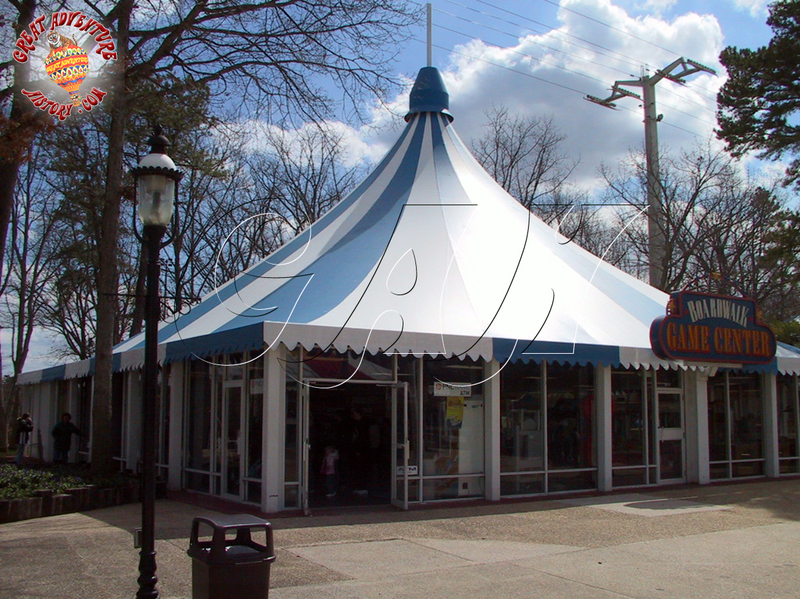 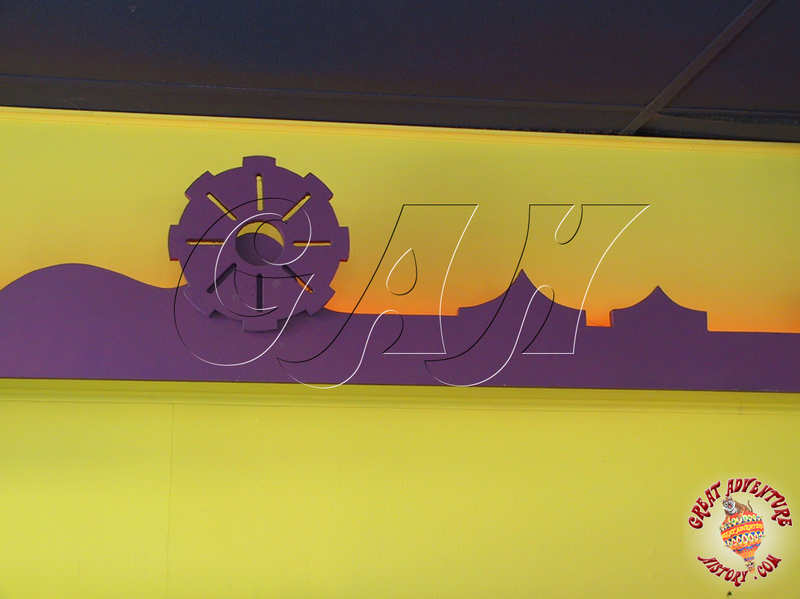 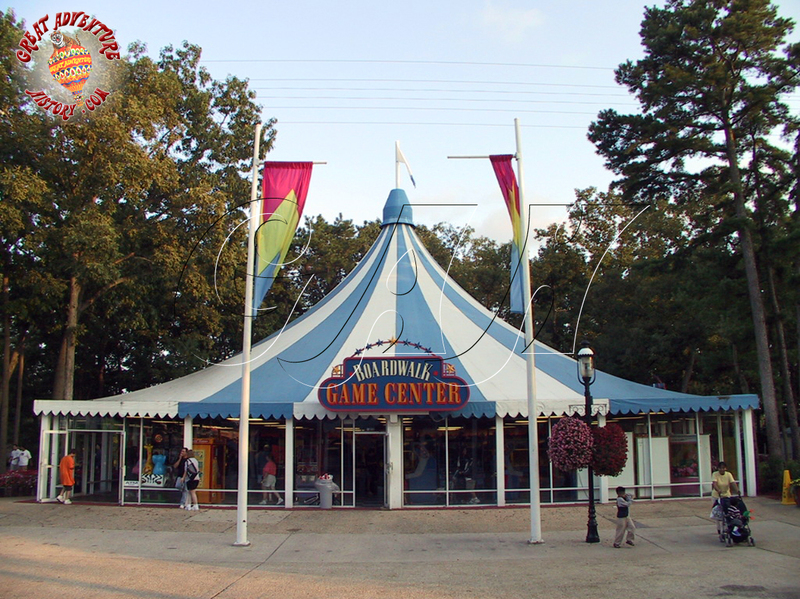 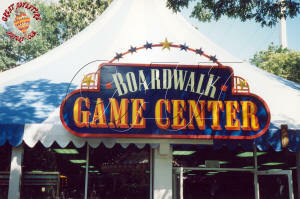 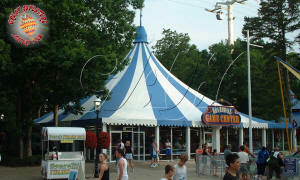 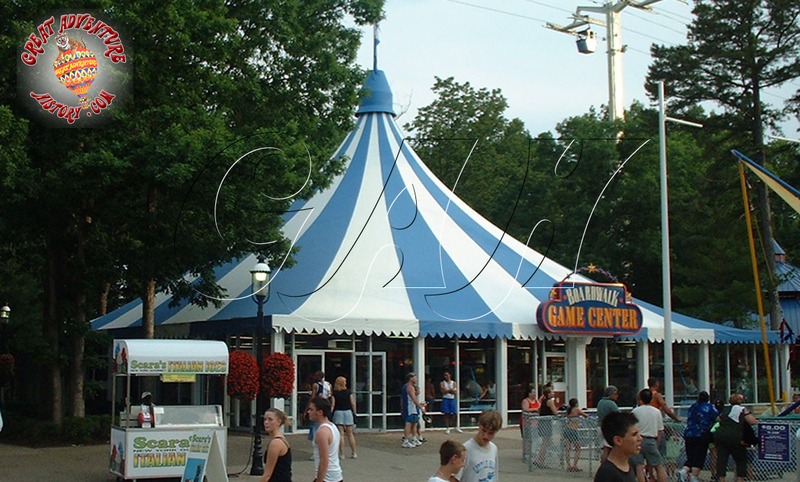 As part of the name change to Boardwalk Game Center, a decorative valance was added to the back wall with silhouettes of tents and ferris wheels to help reinforce the Boardwalk theme. 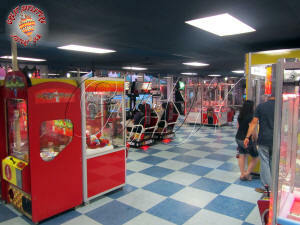 As times changed and tastes in games changed the games within the building changed to meet the needs of guests. 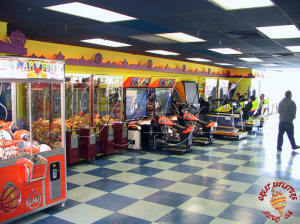 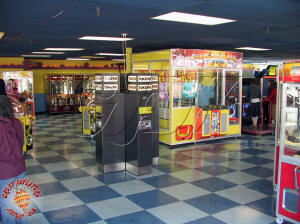 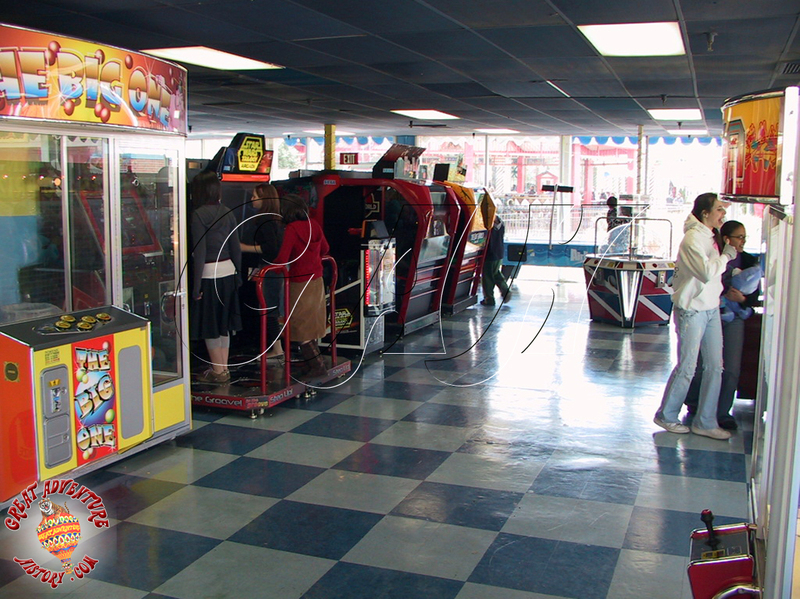 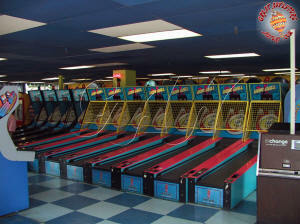 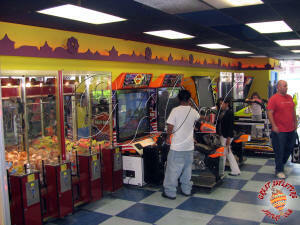 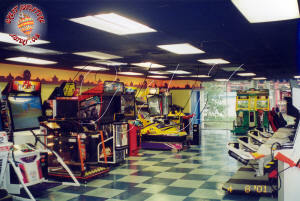 Eventually the skill games were replaced with more and more video games and skill games like air hockey and crane games. 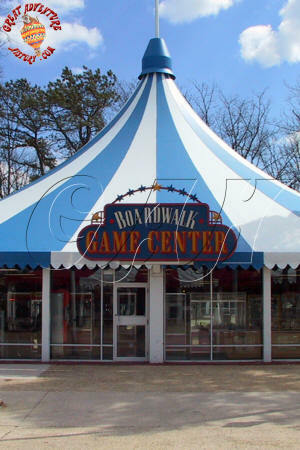 With the closure of Dream Street, the Boardwalk Game Center has become the most popular of the four as a great shortcut to get through the park without walking through the games area.